Need to stretch your iPhone/iPad app budget? 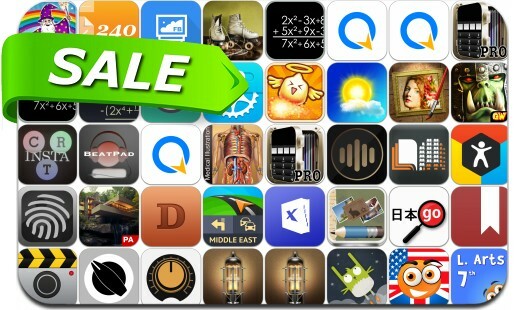 Here are 36 great iPhone, iPad and iPod touch apps that just went on sale. This app deal alert includes Momento, Templates for Pages, Weather Magic Premium, Argus Plus, Snippefy, BIAS, SnapStill, CashSync, FB Video Downloader, Quickstart Fitness, JamUp Pro, Dailybook, Artista Impresso, Warhammer Quest and many others. Remember, prices can change quickly and without notice, these apps may not be on sale anymore when you read this post. For real-time app deals, check out our Real-Time Deals section, as well as our Top App Charts and Top 5 Matrix. You can also check out our Apps on Sale section, as many apps that went on sale earlier this week are still on sale today.